The world was a very different place back during the height of the Cold War. America had a very clear, uncomplicated rival in the Soviet Union, but our relationship with the USSR wasn’t one that always demanded seriousness and fear. Sometimes, goofy versions of our sworn enemies could be trotted out to help sell cars. Which seems to be what’s happening here, with this strange little film from Lincoln. 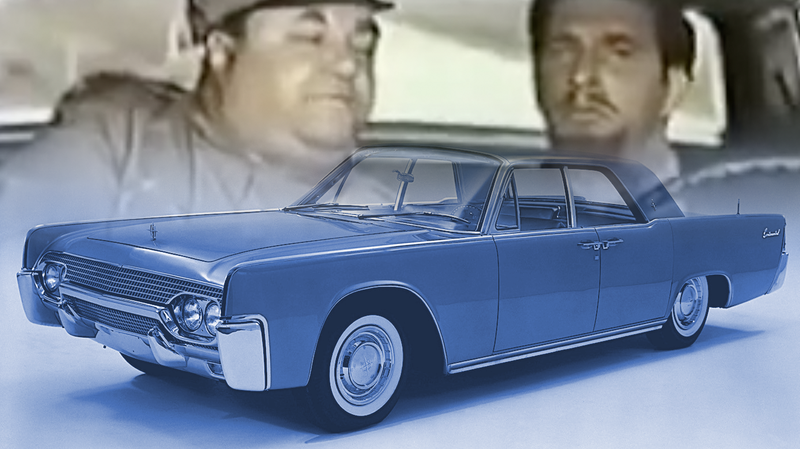 The film, which may have been made to show to dealers or perhaps would have ran before the main feature at the movies, is a strange farce showing Soviet bigwigs marveling at the all-new 1966 Lincoln Continental. That clip is eight minutes long, and it seems to have gone on longer still. It’s a strange promotional film, half dedicated to praising the decadent luxury of the massive Lincoln with its colossal V8, automatic climate control, and luxuriant three-speed automatic, and also focused on mocking, with broad, cartoonish stereotypes, the Soviets. There’s even a hitchiking Kruhchev and some Bond-style modifications to the Lincoln. I’m not even sure something like this would be possible today, but it’s a pretty fascinating relic of an era. Also, those Continentals were absurdly classy cars.